The City is All Aglow With Millions of Twinkling Lights! Winter is the most beautiful time of year in Calgary. Bundle up, bring your cocoa, and enjoy the many Christmas light displays and holiday festivities across the city. Zoolights at the Calgary Zoo to Jan. 2; 6 to 9pm – gates close at 8:30pm (closed Christmas Day and excludes Zoo Year’s Eve); Every year, people of all ages head to the Calgary Zoo to enjoy hot chocolate, fire pits, fun games and the display of 1.5 million twinkling lights. The Zoo Lights are open every day from 6pm to 9pm (gates close at 8:30pm), finishing on Sunday, January 2. Admission for adults is $14 and admission for children is $11. Downtown Calgary – Downtown Calgary lights up beautifully, enjoy twinkling office towers and the decorated lobbies of office buildings and hotels. Stephen Avenue Mall glows from top to bottom. Check out Steven Avenue because they are lighting up the Galleria Trees outside Bankers Hall with a special holiday motif for the rest of the season. Spruce Meadows – Each evening between 5-10 pm from December 5 to January 3 – Scotiabank, Bennett Jones, ATCO Group and AKITA Drilling present Christmas Season magic with a quarter of a million lights, blanketing Spruce Meadows from west to east. The 2 kilometer drive through the grounds includes Tournament Lane, The Courtyard, Traffic Circle, the Nations Flag Park, Congress Hall, Riders Chapel and the Pond with strings of lights measuring nearly 50 kilometers. CP Holiday Train – Each year the CP Holiday Train heads out on a three-week journey to spread some Christmas joy. This year this spectacular show will arrive in Airdrie on Wednesday, December 9, 2015 from 5:30 p.m. and then chug into Calgary on December 11, 2015 at 6:45 p.m. Each event is free with a donation to the local food bank and features live musical. It’s a must see tradition for families. 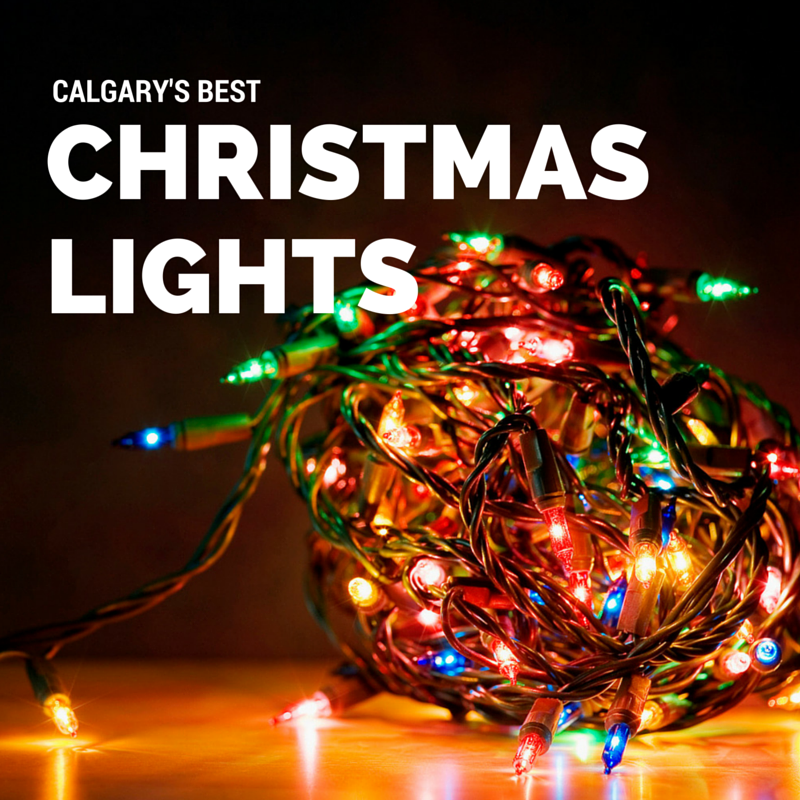 For a fun and interactive way to plan a Christmas Light tour visit Lighten Up Calgary. They have a route planning tab and you can search for light shows in every quadrant of the city! 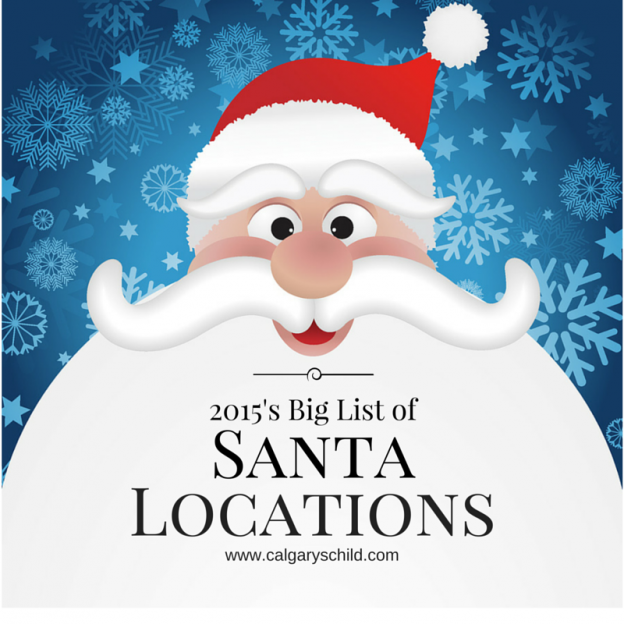 This entry was posted in Uncategorized on November 26, 2015 by Calgary's Child. When children are immersed in play they usually put their entire soul into the activity. It is this intensity that allows them to absorb so much about the world in the early years of their life. They are always learning, always taking in something new. Because of this intensity it can be very hard for a child to switch from one activity to another without first making a mental adjustment. You can help your children change activities by giving them time to process the change mentally before they follow through physically. Prior to expecting action from your child, call out a 5-minute-alert, then a 3-minute-alert and finally a 1-minute-alert. This type of counting is extremely different than the typical countdown to disaster, “1…2…3. Okay, now you’re in trouble! Time out!” This 5-3-1 method is a respectful way of letting your children know in advance of what’s upcoming and allowing them to finish up what they’re into so that they can make the change. 5-3-1 can be used daily as a way to help your child cooperate with you on many tasks, such as getting dressed, finishing lunch, putting away toys, getting into the bathtub, getting out of the bathtub, and getting ready for bed. This entry was posted in Uncategorized on November 6, 2015 by Calgary's Child. Sunday, November 1, marks our fall back to standard time. Fall back – woo hoo, right… an extra hour of sleep! If you don’t have children or your children are older, this is absolutely a cause for celebration. However, for those of us with young kids, it can be a bit unnerving. For a child who was waking at 6:30am pre-time change, their biological clock will now have them waking at 5:30am! For parents already short on sleep, this is a major downer. So what can you do to keep help your child adjust their biological clock and prevent these early morning wakeups? Reset their circadian rhythms. We all have internal clocks called circadian rhythms that make us feel drowsy at certain times. This clock is set by the cues we receive from dark (night)/light (day). It is easiest at these times to fall asleep and get our most restorative sleep. When we physically shift our time clocks, our body does not immediately know this change has occurred, as it needs a few days to adjust to the new cues. A great way to help accelerate your little one’s adjustment to the new time is to regulate their light exposure. As we now want them sleeping later into the morning and staying up later at night, we want to provide extra ‘darkness’ in the morning and extra ‘light’ in the late afternoon and evening. A few days prior to the shift and in the days just after, try to keep your home dim for an extra 30 to 60 minutes in the morning while you go about your routine. Keep the lights off or very low and try to just use the natural light coming in your windows. In the afternoon, get your child out and expose them to as much natural light as possible. In the evening, make sure you have your home lit with bright artificial light. These simple modifications will help your child adjust more quickly. For older children. For children who are on one or no naps, it is easiest to just switch everything (wake-time, nap, bedtime, meals, etc.) to the new clock all at once. Start Sunday morning by trying to keep your child in their bed until as close to their usual wake-up time on the new clock as possible (for example, if wake-up time is usually 6:30am, the goal is for them to remain in their bed until 6:30am ‘new time’). If your child is still napping, move out naptime by an hour to its usual time on the new clock and do the same for bedtime. Make sure you are consistent and move out all other daily cues by an hour (like mealtimes and bath time, etc.) so your child is still able to follow these events and understand what is coming next. Children thrive on following schedules and social cues – so moving everything consistently will greatly assist them in adjusting. For babies. If your child is still taking multiple naps during the day (or you are concerned that moving to the new time ‘cold turkey’ will be too stressful for both of you), make the move gradually in daily increments of 15 minutes. For example, the first day you will adjust all naps, meals and bedtime to be 15 minutes later than usual. On day two, you will add another 15 minutes, making all of these events 30 minutes later than usual. You will continue this in 15-minute increments until you have moved everything by one hour to the appropriate new clock time. This will help your child ease into the time change more smoothly. Again, remember we are not just changing sleep times, but moving all cues (meals, bath, etc.) in the same increments so your child has an easier time following what comes next. Over a week or so you will see that your child has adjusted and is waking and functioning at the new times. It’s okay to leave them be. If it’s one week after the time change and your child is still having a tough time adjusting and is waking very early, your best bet is to leave them be until it reaches ‘wake-up time.’ Not only will it make your life easier when they wake at a more humane hour, but it is better for their little bodies as well. The correct biological time for a baby or young child to wake each day is sometime between 6 and 7am. For example, if your child is stuck waking every day at 5:15am, you will simply leave them be in their bed until it reaches 6am. At 6am, you will promptly enter their room, open the curtains and cheerfully announce it is time to start their day. This will act as a cue that it is now time to be awake. They may get upset the first day or two, but you will see that after just a few days, they adjust their wake-up time to meet the time in which you are leaving them. Amy is a graduate of the University of Massachusetts, Amherst and a Family Sleep Institute certified Pediatric Sleep Consultant. She is founder of Well Rested Baby, (WRB), (www.wellrestedbaby.com). She offers a host of services including in-person, phone, email and Skype/FaceTime consultations that can be tailored to meet any family’s needs and schedule. Email her at amy@wellrestedbaby.com with any questions. And be sure to follow WRB on Facebook, www.facebook.com/WellRestedBaby/, for more great sleep tips! This entry was posted in Uncategorized on November 1, 2015 by Calgary's Child.